SusieQ is a busy ARMED Celebrity Fitness Trainer on a mission to join forces with our First Lady, Mrs. Michelle Obama; to inspire children & people across the nation to “Get a FitLife!” so “Watch Your Mouth” &“Let’s Move!” Find out where SusieQ’s been in the media & where she’ll be next! 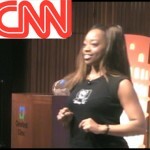 Book SusieQ as a Motivational Fitness Speaker for a future engagement! Media/Press requests for SusieQ interviews or show appearances contact us below! Business Development/Licensing ideas can be submitted. 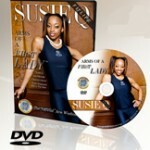 CLICK on Media Images to WATCH SusieQ in action & Get “Arms of a First Lady” Fitness DVD! Creator of the “Arms of a First Lady” DVD!